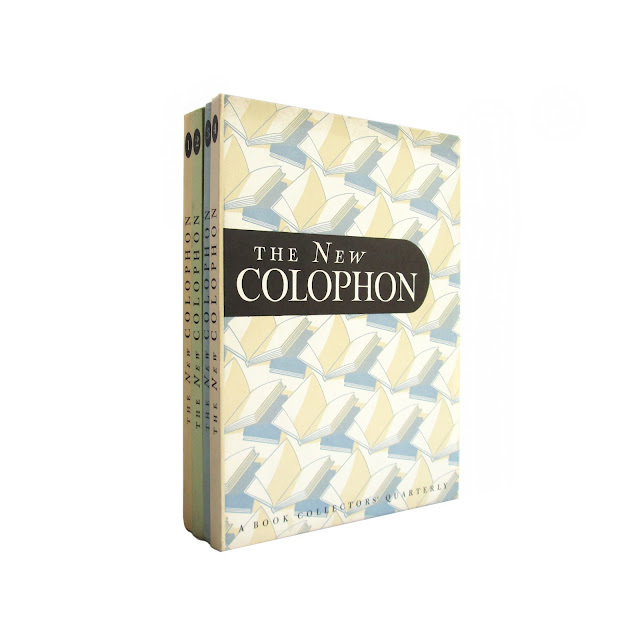 The New Colophon was a book collector's quarterly published in New York in the late 1940s. 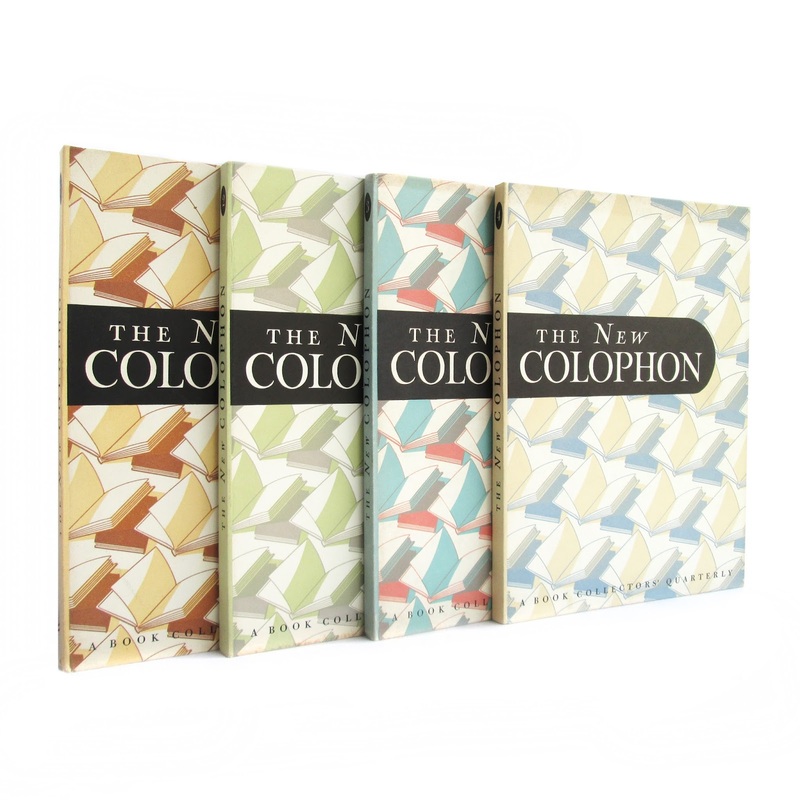 It was a successor to a similar journal from the 1930s simply called "The Colophon." 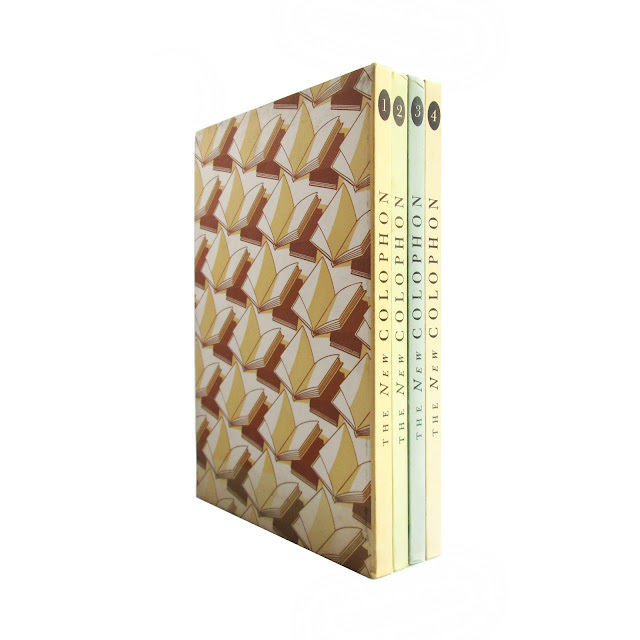 This set of four books are bound in printed boards. Each is a different color, but all have the same allover cover pattern of books, with black spine lettering. Very light soil to covers, two volumes with wear to spine ends; overall clean copies, with tight bindings. 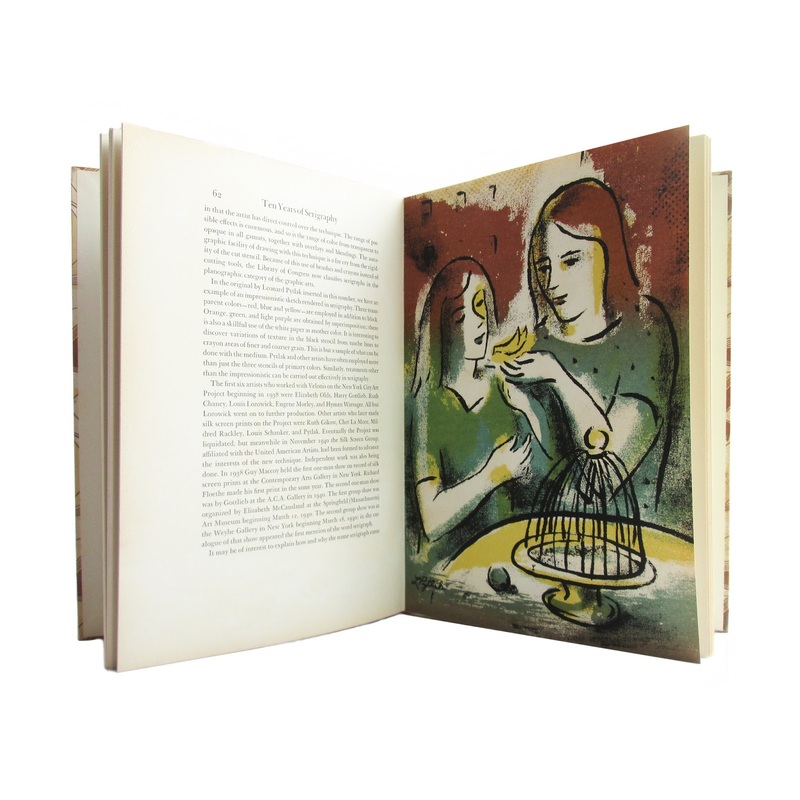 Each book contains short articles on book collecting and related topics. Each approx. 100 pages, 8"x10".